The objective of the one-day symposium was to show recent developments for the applications of nucleosides, nucleotides and nucleic acids in medicinal chemistry. 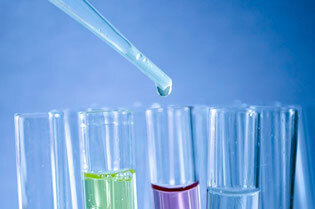 Applications are still found in the fields of antivirals, anticancer compounds or antisense oligonucleotides. But also new therapeutic applications are found like in immune-oncology, which opens many new possibilities. Prof. Jens Kurreck, Coach of the BioNukleo Team, presented BioNukleo's sustainable technology which can be used for the production of nucleosides and nucleotides. 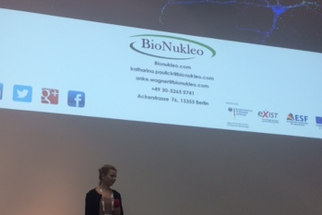 Katharina Paulick, one of BioNukleo's CEOs, gave a talk at the `Career Day' of the Max Delbrück Centre for molecular medicine in Berlin. Encouraging PhD students to get entrepreneurs, she talked about first steps founding a startup and about financing possibilities. Also her own career as a scientist and entrepreneur was in focus. Subsequent, she made contact to the 3Is Pharma Innovation Initiative and will show them how BioNukleo was founded, funded and growing. 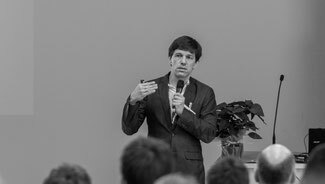 As BioNukleo got and gets much advice from coaches and other companies, it is important to keep young students informed about the startup scene in Germany. Most of the symposium was dedicated to plenary lectures from invited speakers as well as short talks. There also were poster sessions where selected participants could present their research. The schedule also included social activities, such as a welcome reception/dinner, lunch and coffee breaks as well as a guided city tour. Inspiring talks and a great platform to meet and find collaboration partners. 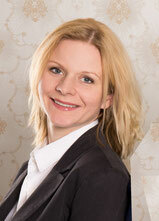 CEO Katharina presented BioNukleo in the Start-up session. 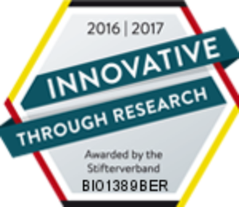 From the german "Stifterverband", BioNukleo gets the label "Innovative through research" due to it's high expenses in biocatalytic research. 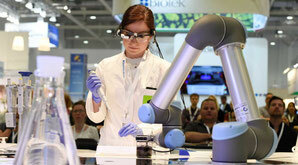 Together with Labvolution, the Biotechnika was in May 16-18 in Hannover, Germany. The specialist trade fair for innovative lab equipment and laboratory workflow optimization "LABVOLUTION with Life Science Event BIOTECHNICA" has a new thematic focus. BioNukleo made contact to customers, distributers and had a close look at the new smart lab- showing the future of molecular biology. In fact, BioNukleo has also access to the lab of the future from the TU Berlin, with different robots facilitation scientist´s work.